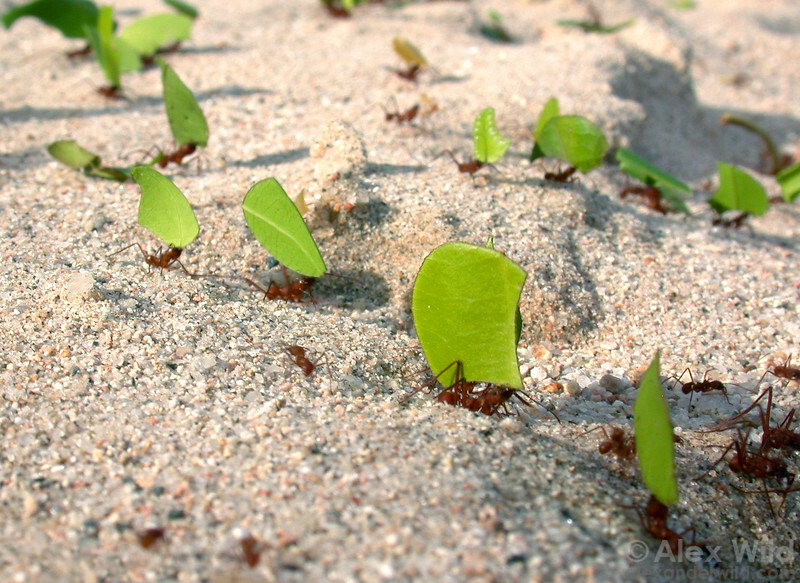 is the most conspicuous leaf-cutting ant of the new world tropics and subtropics. These large, spiny insects are farmers, using freshly cut vegetation to cultivate a fungus in subterranean gardens. Colonies are among the most complex insect societies known: nests can persist for decades and contain over a million individuals.